Xiaomi today launched the successors to its much popular Redmi line. At an event in Beijing on Tuesday, the company launched the Redmi 6 and the Redmi 6A, succeeding the Redmi 5 and the Redmi 5A. Similar to the previous years, there are many differences between both the phones; one being the “extreme budget” phone whereas the other being a “budget phone”. The most noticeable difference between the Redmi 5A and the Redmi 6A is the shorter bezels on the front. The Redmi 5 ditched the bezels last year, however, Xiaomi stretched the “A” line for another year before ditching them. It’s a welcome move, as bezels are termed as “ugly” in this specific smartphone generation, thanks Apple! 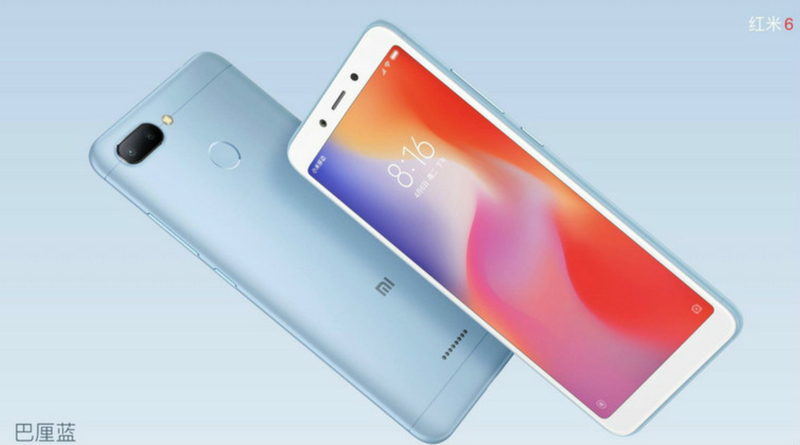 The Redmi 6 and the Redmi 6A do also inherit some new features from Apple’s latest offering (the iPhone X), they both come preloaded with software that supports facial recognition to unlock the phone. However, it’s important to note that, the technology used by Xiaomi is not as sophisticated as Apple’s: the iPhone X sports dedicated infrared sensors (and more) to authenticate users whereas Xiaomi relies on the default front camera. The Redmi 6A is powered by MediaTek’s quad-core Helio A22 chip which is manufactured with MediaTek’s 12nm (manufacturing) process. The phone gets 2GB worth of RAM which is not exciting but it’s decent enough for performing basic tasks like checking mails, making calls, texting, etc. On the back, the phone sport’s a 13MP shooter with f/2.2 aperture and a 5MP shooter powers the front camera. The Redmi 6 is powered by MediaTek’s P22 chip coupled with 3GB or 4GB of RAM depending on the version. On the back, the phone sports a dual-camera setup: a 12MP sensor and a 5MP sensor which enable the portrait mode. On the front, the phone sports a 5MP camera just like the Redmi 6A. Both the phones sport a 5.5 inch HD+ display on the front which is not great in terms of resolution but the phone’s other features make up for it.